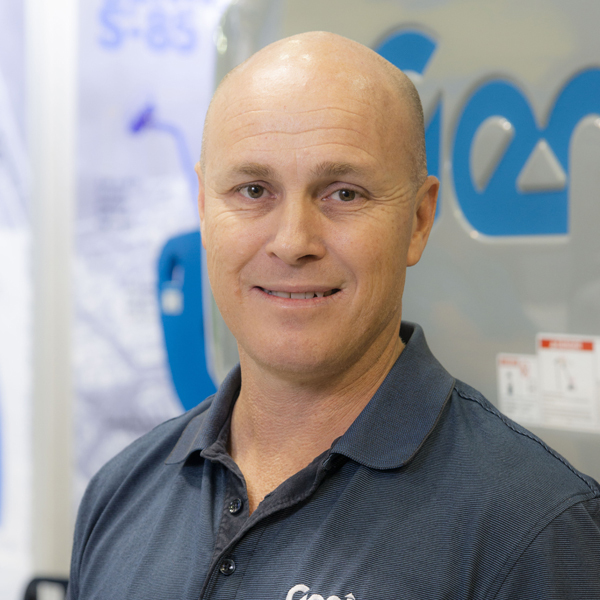 As the Customer Service Manager for Queensland and Papua New Guinea since 2012, Tony and his team of 4 service technicians and 6 pre-delivery inspection team members, who are based in Brisbane, ensure the smooth running of Genie customers’ equipment. A fitter and turner by trade, Tony first worked at Terex AWP in 2005 for a year as a pre-delivery inspection technician. He went on to gain experience in the service departments at Komatsu and Force Access. Then in 2012, he returned to head up the Terex AWP service department for Queensland and PNG. While working in elevated work platform rentals, Tony had serviced a range of EWP brands and found that Genie was always the preferred brand for service technicians. “They’re easy to work on, the diagnostic side of it is quite easy and self-explanatory, while access to the componentry is easier, and then there’s the great reliability of the product. That’s what makes Genie a standout, and that’s why I came back,” says Tony. From time to time, Tony’s team provides backup service support in other regions, such as the Pilbara region of Western Australia, northern NSW, New Zealand, Singapore and New Caledonia.